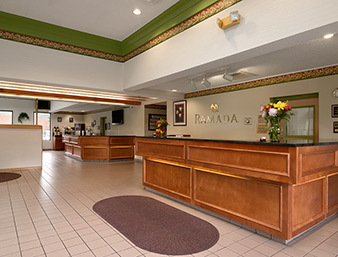 Whether you are a business traveler, vacationing with the family or just getting away, Ramada Canton/Hall Of Fame hotel has what you are looking for. 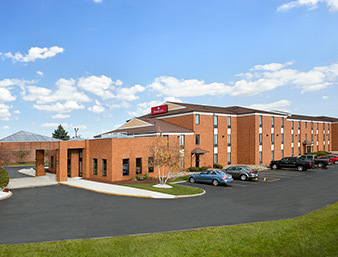 Located off Interstate 77, our Canton, Ohio, hotel features free parking, and several time-saving amenities to help you get more out of your stay. In the morning, enjoy free continental breakfast with eggs, biscuits and gravy, meat, potatoes, fruit and yogurt. 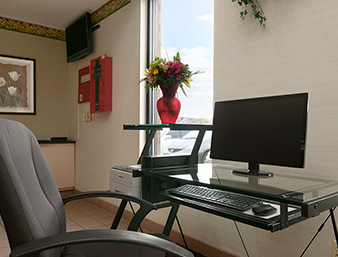 Free Wi-Fi Internet access is available throughout our hotel. 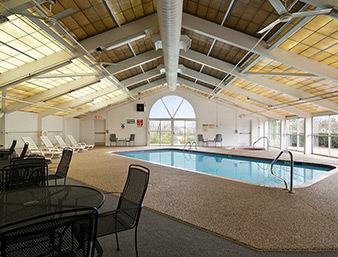 After a busy day, unwind in our pool and hot tub. 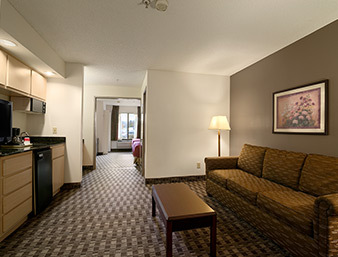 All suites in our hotel feature a wet bar and kitchenette. 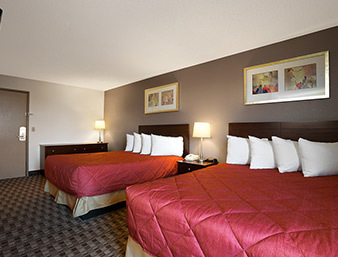 A game room is available, and kids 17 and under stay free with an adult at our hotel. .
Visit the Professional Football Hall of Fame, three miles from our Canton, Ohio, hotel, which honors the greatest athletes to ever play the game with a variety of exhibits which showcase authentic equipment, memorabilia, photographs and information. If you love old cars, check out the extensive collection at the Canton Classic Car Museum, which features automobiles from as early as 1901, along with several other models which helped define their generation. Go back to a simpler time in nearby Amish Country or visit the animals at Akron Zoo. 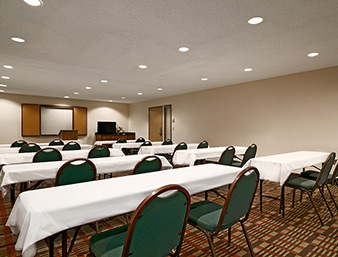 Our Canton, Ohio, hotel features a business center and a meeting room for up to 50 people. 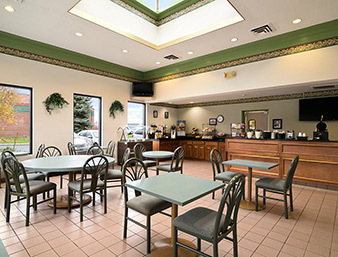 Sit down to country-style favorites at Perkins, next door to our Canton, OH, hotel. Old Carolina BBQ and Brown Derby Roadhouse are one mile from our hotel, along with Outback Steak House, Damon’s Grill, bravo Italian and Max and Emma’s, which features a varied menu with gourmet hamburgers and other fresh options. Head to 91 Woodfire Oven to enjoy gourmet dining in an upscale casual restaurant. Shuttle service is available, by appointment only, to and from Akron-Canton Airport and local businesses within a 5 mile radius of our hotel from 8:00am until 10:00pm, Monday through Friday.